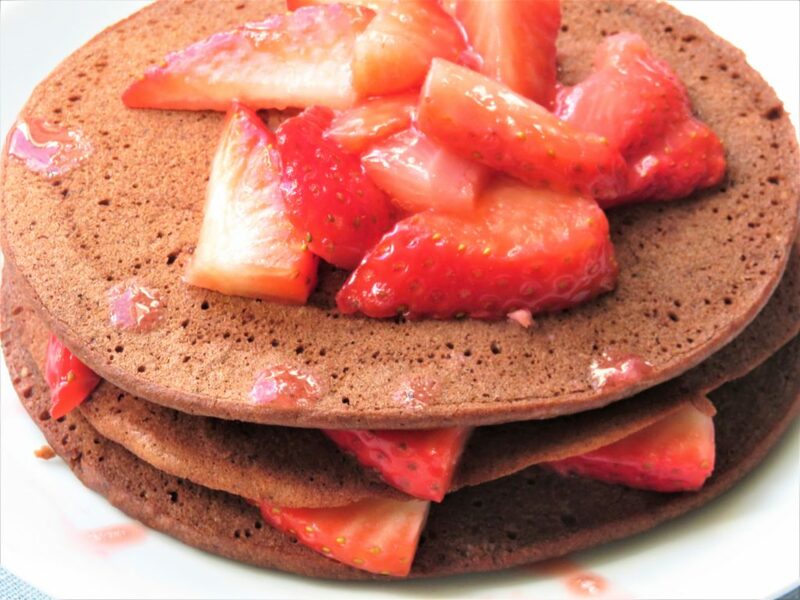 Pancakes are often seen as a treat, especially chocolate pancakes, and can leave you with ‘food guilt’. 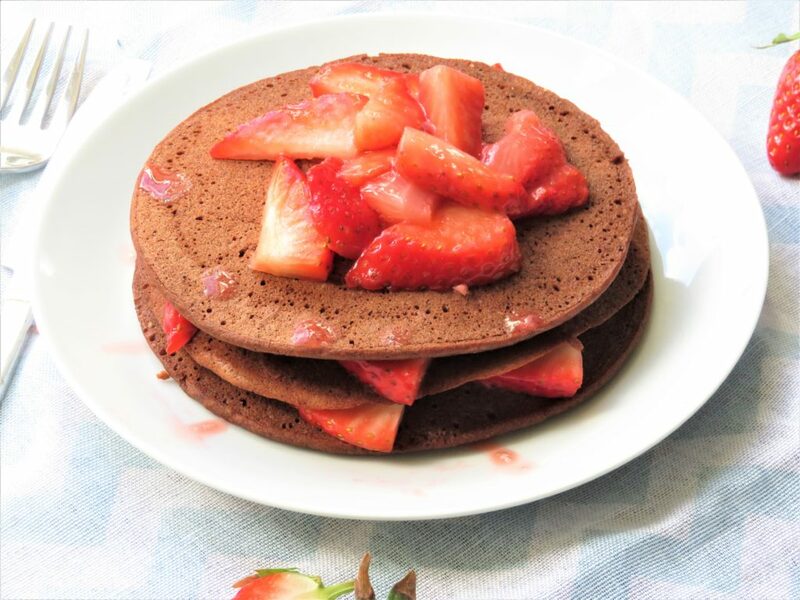 These superfood chocolate buckwheat pancakes are packed with nutrients and at 134 Kcal per pancake will not leave you feeling guilty. 1 Mix the buckwheat flour, cacao powder and the baking powder together in a bowl, then make a well in the middle. 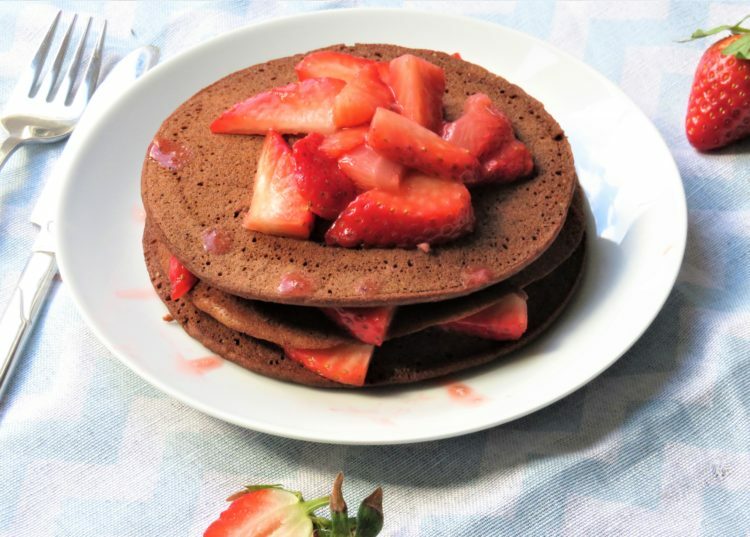 7 Then warm half of the strawberries for 20 seconds then top the pancakes with the warmed strawberries and the remaining strawberries and the juice from the strawberries drizzled all over or choice of topping and enjoy. Tip: Try adding blueberries while cooking in the to the uncooked side before flipping it over. Cacao Powder is a non-chemically processed and unroasted version of cocoa powder. Cacao powder is rich in iron & potassium, extremely high in copper & magnesium – so it’s great for your heart and its loaded with zinc. It has 40 times the number of anti-oxidants than blueberries, contains large amount of calcium and serotonin – which helps alleviate depression.